Measuring for your system is fairly easy. You just want to make sure that the dimensions you give us are accurate, as we will custom build to those dimensions. Our systems account for some height tolerances and clearance for a perfect fit - please see the detailed dimensions provided on our product Spec Sheets. 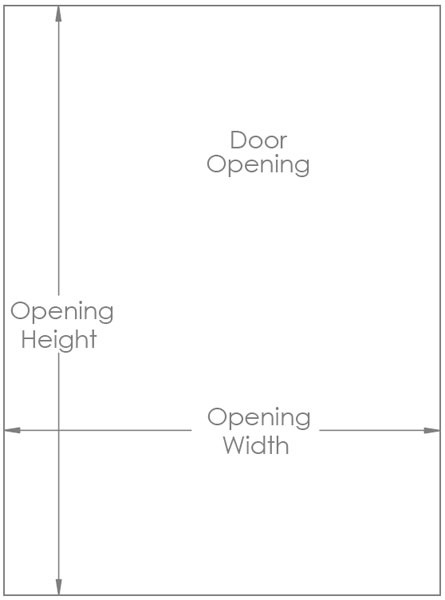 For any system, we simply need an opening width and height. *Be sure that you have level floors and ceilings where the system will be installed - You can do this using a level and also measuring the floor to ceiling height in various locations where your doors will be installed. We can allot for extra clearances if this is the case. Please consult the factory.